TDmonthly Magazine selected the following toys and games as our Staff Picks. Learn about these top quality toys with high play value below, and decide if any would be a good fit for your store. 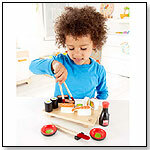 Playing with new foods encourages kids to try them. Watch a real sushi chef (Itamae) in action. Roll sandwiches or filled lettuce leaves into sushi shapes. Emma's dojo is a piece of the Far East, right here in Heartlake City. Practice Emma's favorite martial arts and help her to prepare for another fantastic performance. Train hard to win the trophy by chopping the practice block in half. After a great practice, wind down in the tranquil environment with the cute bonsai tree and drink some water. Then use the mask and sword to start mastering kendo. Includes Emma mini-doll figure. Shen is Zylie the Bear's panda friend from her Adventure across China. Shen met Zylie and her silly little brother Theo in Chengdu, where he's from, and they had great fun journeying east across the country to Beijing. Shen loves rock & roll music, and is a drummer in a band about to go on tour. Shen practices martial arts, and is fascinated by other cultures, particularly their native music and instruments. Shen's Adventure Kit includes a leather jacket, cargo pants and cool t-shirt. He also has a backpack with drum sticks and a Chinese Passport, and the second book in Zylie's Adventure Series, "Zylie's Silk Road Adventure." Hello Kitty Mini Town: Convenience Store by NAKAJIMA USA, INC.
Other products from NAKAJIMA USA, INC. Explore the endless possibilities and hours of fun with this all in one play set. 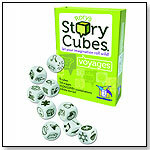 Three dimensional props and figures to create different creative scenarios for every child. It's compact ability makes for a perfect travel item. Hello Kitty fun on the go. 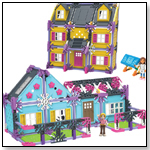 SmartMax Flower Palace provides your child with four colorful flower-shaped pieces, along with 19 magnetic medium bars, 16 large ball-shaped magnetic connectors, and two peaked rooftops so she can use their imagination to build a multitude of creations. These extra-large pieces make it easy to use creative-thinking skills to mix-and-match the pieces and create new combinations. Unique houses and large-scale castles are among just a few of the many options. 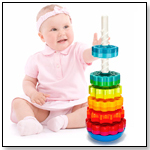 Children can use the four panels to strengthen the structure of their construction and build walls, floors, or forts. 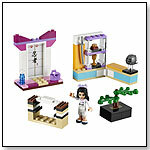 Flower Palace is one of several new 2012 sets in the award-winning SmartMax® magnetic construction toy line. It can also be combined with all existing Smart Max ® sets for unending play opportunities. YouTurns by B. toys by BATTAT INC.
Other products from BATTAT INC.
Get the road trip started as you steer your little car around the B. town on the screen, which lights up for night driving. Shift through forward, neutral and reverse. Both the engine and the horn make actual sounds. The LED blinkers let everyone know where your little driver is headed. 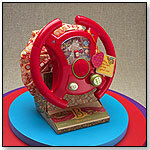 Your child can push the music button to hear 3 driving songs in 3 unique styles. The YouTurns also make the perfect car seat toy – flip it over and it doubles as a pillow. 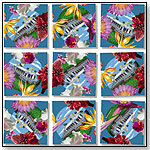 Temple In Paradise Scramble Squares® 9-Piece Puzzle by b. dazzle, inc. The Temple In Paradise Scramble Squares® 9-piece educational brain teaser puzzle for all ages celebrates The San Marga (“The Good Path”) Iraivan Temple being constructed at the foot of an extinct volcano on Kauai, the northernmost of the Hawaiian Islands. The temple is being constructed at Kauai's Hindu Monastery, 5 miles from the town of Kapaa, 4 miles inland from the Pacific Ocean. The temple construction commenced in 1975 and is scheduled for completion in 2017. There are Hindu temples in virtually every nation on earth, over 1,000 in the United States and nearly a million in India, but this temple was destined to be unique—a white-granite edifice being brought stone by stone from south central India after being hand-carved by 75 sculptors working for 27 years with simple bamboo-handled mallets and tens of thousands of mild steel chisels. Their monumental efforts reflect the ultimate in artisan craftsmanship and design, surrounded by as beautiful a setting as the paradise island of Kauai could provide. Join Drake and his Thunder Dragon on electrifying adventures as they soar through the dark clouds of stormy nights. This hand painted replica measures 8” L x 6.25” W x 3.75” H (20.5 x 15.75 x 9.75 cm) and is suitable for ages 4 and up. All Safari Ltd® products are 100% guaranteed and lead free to ensure children’s safety. Visit www.safariltd.com to explore educational information in five languages and to view and purchase Safari Ltd® 2013 introductions and all other products. Launch date: 2013.